The Foreign Ministry in Kiev on Monday summoned Israel’s ambassador for a dressing-down to protest Jerusalem’s decision to cancel a visit to Israel this week by Ukraine’s prime minister. Prime Minister Benjamin Netanyahu on Saturday disinvited Volodymyr Groysman as a consequence of Kiev voting in a favor of an anti-settlements resolution at the United Nations Security Council. 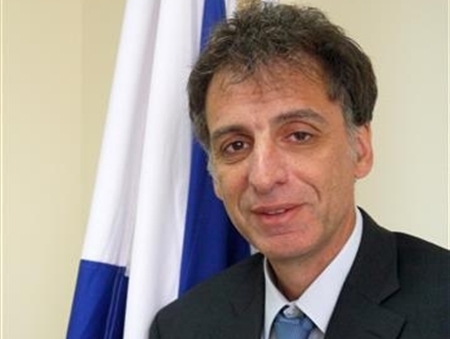 “We’re confirming that our ambassador Eli Belotsercovsky was summoned to the Foreign Ministry in Kiev for a meeting following Israel’s decision regarding the visit of Ukraine’s prime minister,” Foreign Ministry spokesperson Emmanuel Nahshon said. 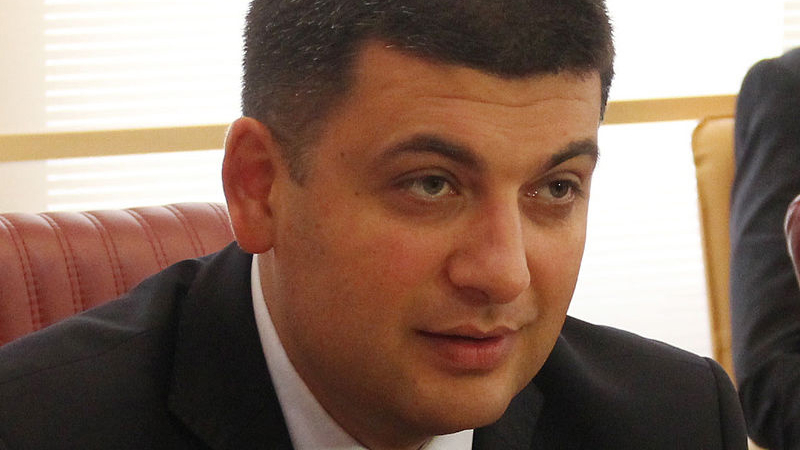 Groysman, who became Ukraine’s first Jewish prime minister earlier this year, was scheduled to arrive in Israel on Tuesday for a two-day visit that would have included meetings with Netanyahu, President Reuven Rivlin and other top officials. Ukraine on Monday defended its decision to vote in favor of Resolution 2234, hinting at its own conflict with Russia as a driving force behind the decision. Without explicitly mentioning Moscow’s annexation of Crimea and a civil war in the country’s east with Russian-backed separatists, the Ukrainian Foreign Ministry said it “experienced itself the tragic consequences brought by” the violation of international law, effectively drawing a parallel between Israeli building in the West Bank and East Jerusalem and Russian policies. “That’s why our position was formed on the basis of our consistent line to ensure the respect for the international law by all its subjects,” the statement read. Since the measure was passed, Israel has taken a number of retaliatory steps against the countries that supported its passage, including an official dressing-down of the Security Council members’ ambassadors to Israel on Sunday. In its statement defending Ukraine’s vote in favor of the measure in light of the Israeli backlash, the Foreign Ministry in Kiev described the resolution as “balanced,” and said its “yes” vote should not affect ties. “We are confident that active and emotional internal debates in Israel will not impact traditionally friendly Ukrainian-Israeli relationship, based on mutual respect and joint interests,” the statement read. Following the removal from office of pro-Russian president Viktor Yanukovych in February 2014 as a result of protests against his government and its policies, unmarked Russian troops invaded and occupied the Crimean Peninsula, which was was annexed to Russia after a hasty and internationally unrecognized referendum in March 2014. Beginning in 2014, Russia has also sent troops and sponsored paramilitaries to occupy parts of eastern Ukraine and has backed the breakaway Donetsk and Luhansk People’s Republics.